STI Off-Road has unveiled its new HD4 Limited Edition Matte Black Wheels, expanding the HD Alloy wheel line with new style in a variety of size applications. 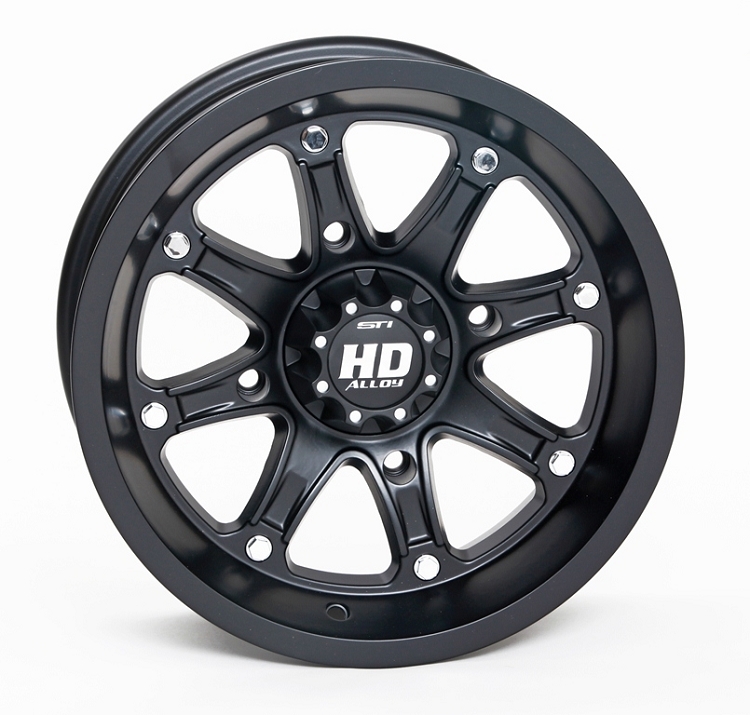 STI is making the HD4 Ltd. available in 17Ã—7 ($136.95), 12Ã—7 ($81.95) and 14Ã—7 ($96.95) applications. As well, STI offers a variety of tires to fit the HD4 Ltd. wheels and has a variety of tire-and-wheel kit packages available.